The following article was originally published in the SIVB Newsletter, In Vitro Report, Issue 31.5, September/October 1997. The history of the Society for In Vitro Biology (SIVB) owes its structure, development, and role in the scientific and biotechnology community to the parent line of the Tissue Culture Association. 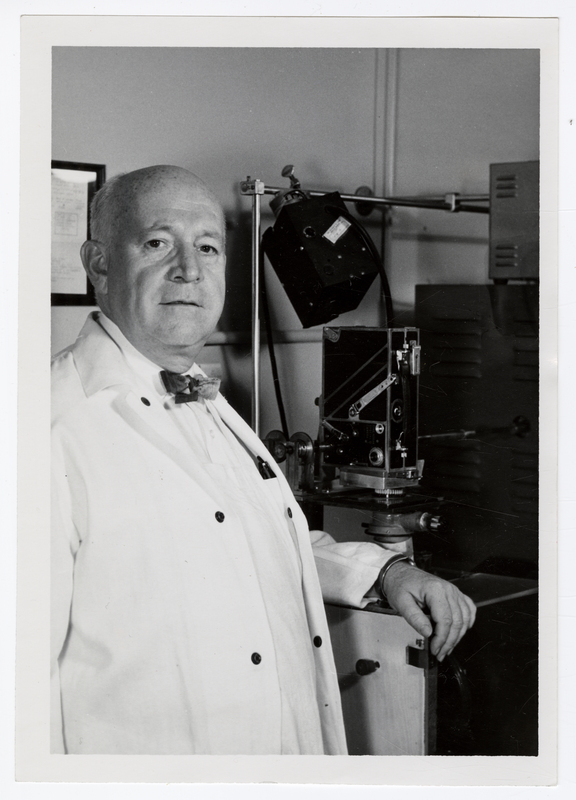 In 1948, the National Research Council committees on Cellular Physiology, Cytochemistry, and Nutrition held a tissue culture conference at Hershey Pennsylvania. This meeting was attended by scientists actively engaged in various aspects of cellular nutrition and growth of human, animal, insect and plant cells. The result of this scientific meeting was the establishment of the Tissue Culture Commission (TCC) which subsequently became known as the Tissue Culture Association (TCA). The goal of the Hershey Conference was to establish a set of parameters by which the problems, associated with the constitution and fractionation of nutritive media, could be documented, and studied. The conference focused on three main issues: nutritional requirements of animal cells; accurate measurement of cell growth; and the possibility of preparing synthetic media capable of sustaining the growth of animal cells in vitro. During the last meeting of the conference, sixteen of the 30 scientists attending the conference met to discuss the formation of the TCC. The original aims of establishing the commission were based solely on issues related to centralizing information and resources. This would give investigators more time to devote to basic research: The issues of interest were to: determine the kinds of media needed by investigators; to evaluate the possibility of preparing media in a central laboratory for distribution at a modest cost; and to prepare a reference guide of published research specific for the area of tissue culture. The TCC remained active for four years, during which membership increased to more than 250 participating scientists. One-fourth of the TCC membership was from foreign countries, which is approximate to the representation that we have currently in the association. The major objectives of the TCA were to introduce scientists to tissue culture methodology, and train technical personnel. Between the late 1940s and 1964, a number of tissue culture courses were offered by scientists in academic institutions across the country. The success of these courses was the work of many individuals. However, it was Dr. Charles Pomerat, who was primarily responsible for the technical and instructional development of these courses. Following the success of the tissue culture courses, a group of individuals organized by Drs. George Gey and Pomerat, negotiated to find a permanent site to offer these instructional courses. In June 1971, the TCA received a gift of land and a building at Lake Placid New York. This site was dedicated as the W. Alton Jones Cell Science Center. Courses in tissue culture were offered at the center from 1971 until 1982. In 1982, ownership of the Cell Science Center was relinquished to the W. Alton Jones Foundation. Development of the WI-38 dipliod cell line and studies with normal cells of a finite life-span. The laboratories of Leonard Hayflick and Paul Moorhead (Wistar Institute). In 1992, the Membership Committee of the TCA, Chaired by Dr. Warren Schaffer, canvassed the membership to determine what could be done to strengthen the organization. The committee recommended to then TCA President, Dr. Elliot Levine the following recommendations: 1) the name of the association be changed to better reflect the current research of the membership, and 2) that a matrix organization be drawn up by which new members could see the range of the research activities of current members. Following these recommendations, a task force was assembled to suggest a new name for the TCA and implement an organizational matrix, based on specific interest and expertise. The association members who formed the task force included: Warren Schaffer, Delia Bethell, Gretchen Darlington, Helene Guttman, Robert Lawrence, Elliot Levine and Martha Wright. The name selected for the association was the Society for In Vitro Biology. The name change from the TCA to the SIVB was voted on and accepted by the membership in 1993. The first History Society program, held during the 1981 TCA meeting, was given by Dr. Katherine Stanford. Dr. Stanford’s lecture was on the work of Dr. Wilton Earle at the National Institutes of Health. The 50 year history of the TCA, and now the Society for In Vitro Biology (SIVB) has been represented by many of the pioneers of tissue culture, and their scientific application to in vitro biology. The work of these scientists, as well as the development of in vitro biology, has been promoted and preserved by the association’s History Society. The archives of the association’s accomplishments and scientific contributions are held at The University of Maryland Baltimore County Library. An additional archive is part of the private collection of Dr. George Gey, housed in the Johns Hopkins Medical Institute Archives, Baltimore, MD. The History Society welcomes all to visit the society archive holdings. The historical past allows the scientific community better understand the SIVB, and to recognize the scientists who have made major contributions to biotechnology. The Society for In Vitro Biology provides a mechanism which continues to promote, support and lead scientific and educational integrity and competence in in vitro biology. 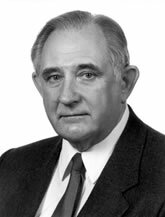 Dr. Leonard J. Schiff, passed away on September 13, 2007 at his home in Denver, Colorado. Dr. Schiff joined the SIVB in 1974, when it was known as the Tissue Culture Association (TCA). An active member, colleague, and friend, he was recognized and received Cellular Toxicology Fellow status in 2004 for his scientific work and generous contributions to the Society. He served as President of the Midwest Tissue Culture Association from 1981 to 1983. 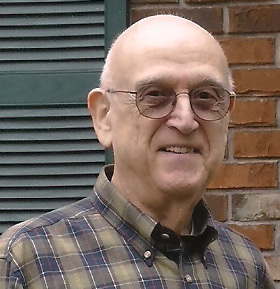 In addition to his roles as a reviewing editor of In Vitro Cellular and Development Biology—Animal, editorial board member of In Vitro Toxicology, and Cellular Toxicology Section scientific speaker and symposium convener, Dr. Schiff was active in the TCA/SIVB Records and Historical Committee. He served as the Records and Historical Committee and Historical Society Secretary 1994–1995, President-elect 1995–1996, and President 1996–2005. 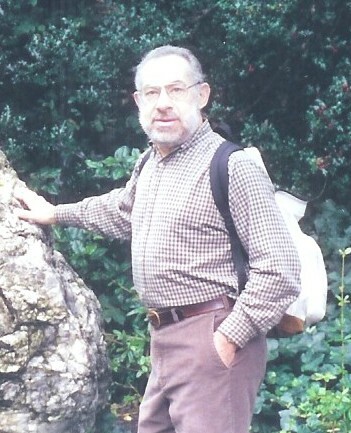 Dr. Schiff organized many History Society programs and events. Leonard Schiff’s bio above was excerpted from: Sandra L. Schneider. In memoriam: Leonard J. Schiff, Ph.D. (1938–2007). In Vitro Cellular & Developmental Biology-Animal 43: 319-320, 2007. The focus of the SIVB has continued to evolve as the field of tissue culture and the needs of researchers have changed. In 2003, SIVB instituted a Student Initiative to address their commitment to the future endeavors of science and to encourage the continued professional growth of future researchers, entrepreneurs, educators, scientists, and others with an interest in cell biology. All students who have attended the SIVB Annual Meetings have received free registration to the scientific sessions and free 1-year membership to the Society in the following year. As of 2014, hundreds of students have benefitted from this program and the SIVB has expanded to include a Student Committee who plans their own program at the yearly annual meetings. In June 2005, the separate Cellular Toxicology and Vertebrate sections voted to merge into one section to become the In Vitro Animal Cell Sciences (IVACS) section and the Invertebrate Section voted to also merge into this section in January 2006. At an assimilation exercise during the Annual Meeting, the IVACS membership confirmed that the consolidation reflected both historical consistency and an authentic overlap in the vertebrate, invertebrate and cellular toxicology fields and noted many anticipated benefits from the merger, including increased attendance in scientific sessions; streamlined meeting program; consolidated administrative and fund raising efforts; attractiveness to potential new members and sponsors; exposure to a broader range of research topics; increased interaction with more SIVB members and greater cross fertilization of ideas and synergy. As Dr. Schiff so aptly explained 20 years ago, “The Society for In Vitro Biology provides a mechanism which continues to promote, support and lead scientific and educational integrity and competence in in vitro biology.” As SIVB reaches toward its 70th year, we continue to look to the future of Tissue Culture and Biotechnology and how we as an organization can help to “promote, support and lead” this work.